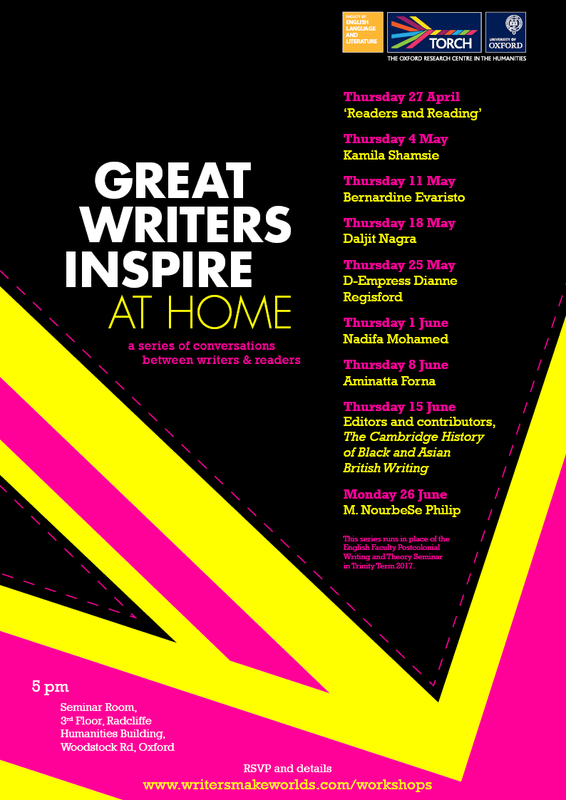 The Great Writers Inspire at Home 2017 workshops brought together a number of contemporary British writers to discuss how literature in different genres shapes readers’ perceptions of the contemporary world, and their identities within it. 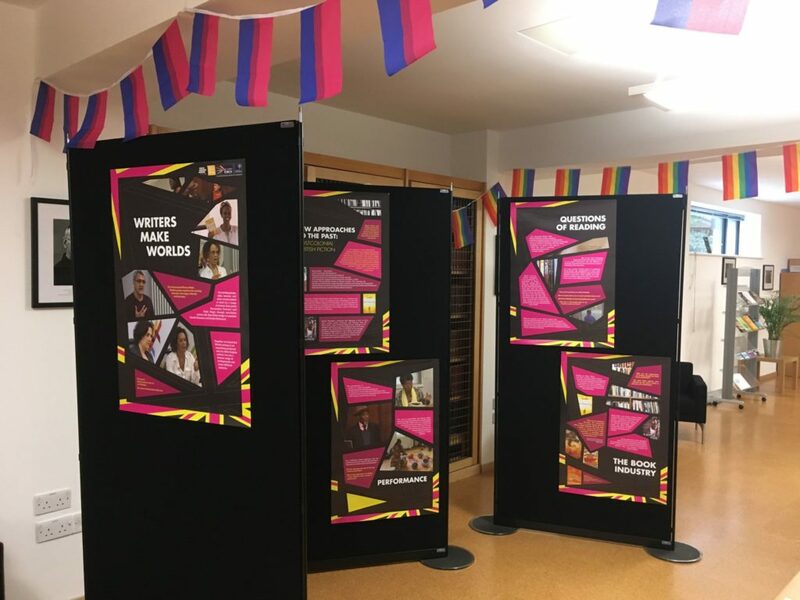 The workshops featured readings by the author, an interview or discussion, and a time of Q&A in which audience members were encouraged to talk about their responses to the work of the author in question. These discussions were recorded and edited into the video podcasts featured on this website. The programme and links to the recordings are below. The project leaders Elleke Boehmer and Erica Lombard introduced the concept of the series, talked about reading, and participating readers responded to extracts from the books they engaged with in their reading groups. In conversation with Elleke Boehmer, Kamila Shamsie read from her novel, A God in Every Stone (2014). Mostly set in London and Peshawar in the first decades of the twentieth century, the novel explores ‘the communality [and] contradictions … of empire’ (Tabish Khair, Financial Times). Bernardine Evaristo was in conversation with Zoe Norridge and Marsha Hutchinson about her verse novel, The Emperor’s Babe (2001), which tells the story of a black girl growing up in Roman London in 211 AD. In dialogue with Rachael Gilmour, Daljit Nagra read from and spoke about his celebrated debut collection, Look We Have Coming to Dover! (2007). The poems are based on his experiences as the son of Punjabi parents who came from India to Britain in the 1950s. Local Oxford performance poet D-Empress Dianne Regisford presents a performance installation piece entitled ‘Hersto-rhetoric? Na so today!!!’. The performance installation, which incorporates a series of seven sculptures, invites critical explorations of the notion of ‘la femme libre’ (the liberated woman) from an African feminist perspective. The works are inspired by what D-Empress describes as a ten-year initiation into the teachings and practice of the ancient West African Mandinka badjenne tradition. 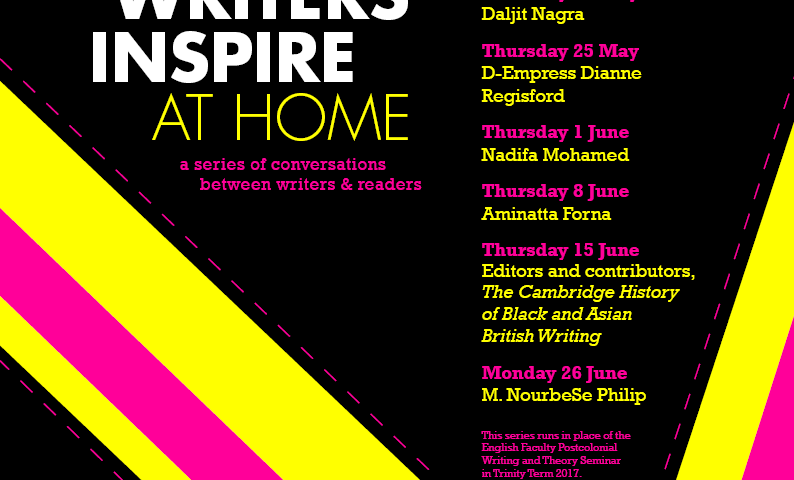 Nadifa Mohamed was in dialogue with ‘Africa in Words’ editor Kate Wallis about her debut novel, Black Mamba Boy (2010), based on her father’s travels across the Horn of Africa before his eventual arrival in Britain. Windham-Campbell-winning author Aminatta Forna spoke about her Commonwealth Writers’ Prize-winning novel, The Memory of Love (2010), set in post-war Sierra Leone, with Ankhi Mukherjee and the audience. Editors Susheila Nasta and Mark Stein were in conversation with contributors Gail Low, Henghameh Saroukhani and Florian Stadtler about their Cambridge History of Black and Asian British Writing. This is the very first academic collection to cover nearly 300 years of Black and Asian British literature. From their perspectives as critics, they addressed questions of writing, reading and identity in Britain today. M. NourbeSe Philip is a poet, novelist and lawyer, born in Tobago but now based in Canada. Though Philip does not have direct ties to Britain, her concerns with language, the past, and the question of how we belong, links her to many of the other writers who appear in the series. Philip read from her work and described her poetic formation. Marina Warner, Matthew Reynolds and Elleke Boehmer offered responses to her work. 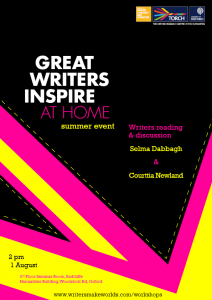 In a special Great Writers Inspire at Home summer event, writers Selma Dabbagh and Courttia Newland gave readings of their work. They also engaged in discussion about writing and community. Elleke Boehmer delivered the keynote lecture at the 2017 English Academy of Southern Africa International Conference, whose theme was Decolonial Turns, Postcolonial Shifts and Cultural Connections. Her presentation drew on insights gained from the Postcolonial Writers Make Worlds project, and the Great Writers Inspire at Home workshops in particular. 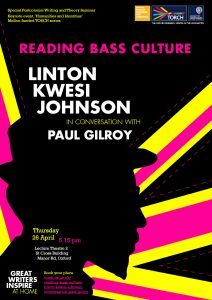 At this event, Linton Kwesi Johnson read a selection of his poetry and then spoke about his life and work in a dialogue with Paul Gilroy. They explored the formation and development of Johnson’s poetry and the inter-generational and transatlantic relationships that nurtured it and shaped its political underpinnings. 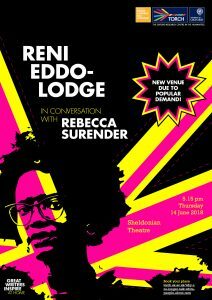 Reni Eddo-Lodge (author of Why I’m No Longer Talking to White People About Race and winner of the Jhalak Prize 2018), was in conversation with Dr Rebecca Surender (Pro Vice-Chancellor and Advocate for Diversity, University of Oxford). 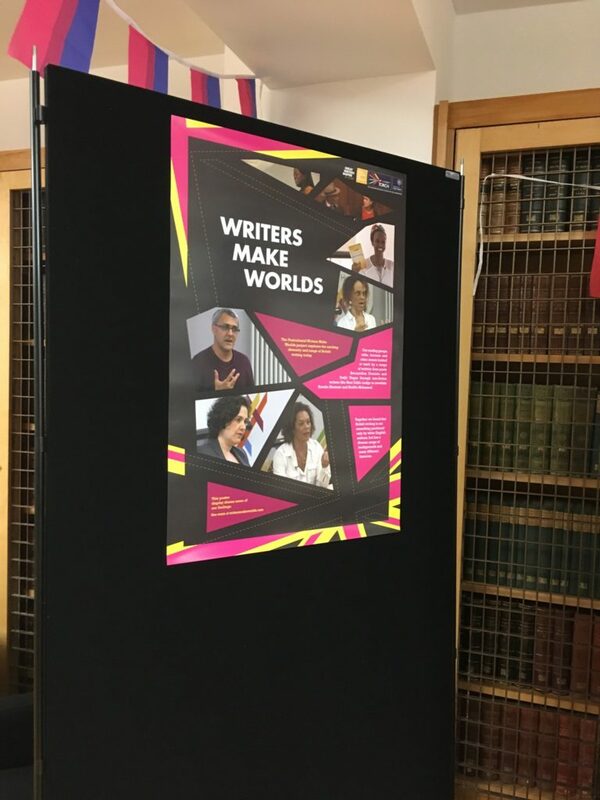 In September 2018, the Writers Make Worlds poster display went up in the foyer of the Faculty of English Language and Literature, University of Oxford. 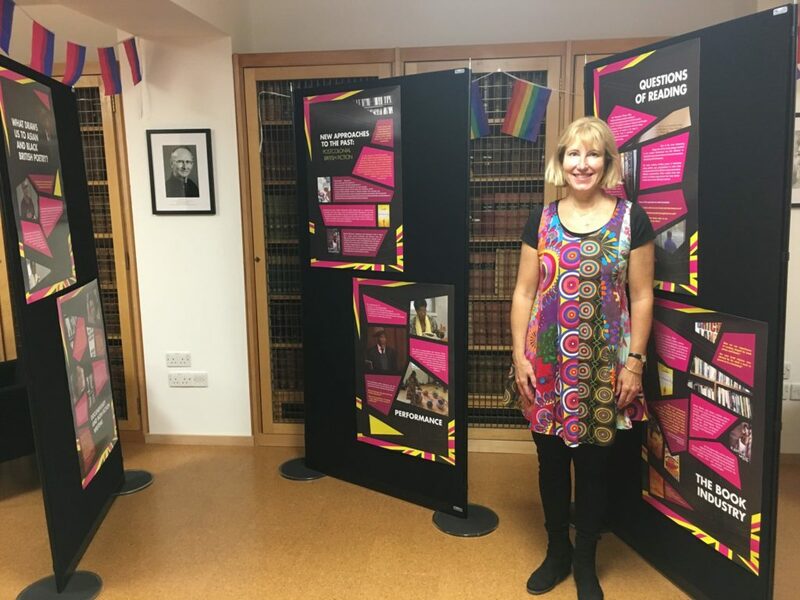 The display showcased some of the key issues and findings of the Postcolonial Writers Make Worlds project.